As we approach the end of the 2014 calendar year, we would like to take this opportunity to express our personal gratitude to all of you. 2014 has been an exciting year for us and we feel very proud of what has been jointly managed and accomplished. Wish you and your family a wonderful and enjoyable time over Season Holidays and a Happy, Healthy and Prosperous New Year 2015 ! Taiwan currently has many different types of art fairs, but this exhibition is a unification of international and professional art fair focusing purely on unique photographic based artworks. TAIWAN PHOTO is going to exclusively present a wide range of museum-quality work; including contemporary, modern and nineteenth-century photographs, as well as photo-based art. This year, more than 90% of International Overseas Photographic Artists exhibit their original prints. The over 70 artists come from 16 different countries/regions, including Austria, France, Germany, Indonesia, Iran, Japan, Mexico, Poland, Russia, S. Korea, Spain, Sweden, Taiwan, Thailand, UK ad the U.S. etc. GALLERIES：1839 Contemporary、99°Art Center、AN Inc、ArtGraph Gallery、BOSS art gallery、Galerie VEVAIS、NY Kumi、sello de agua ART、Seoul Photo、Serindia Gallery、Timeless Gallery etc. ARTISTS：Agafia Polynchuk, Alain Laboile, Alan Chiang, Alex_Dorfsman, Alvin Booth, Anastasia Chernyavsky, Anna Ajtner, Anna Hurtig, Atsushi Komatsudaira, Atsushi Yoshie, Ben Simmons, Bernard Bordenave, Beth Moon, Bogdan Frymorgen, Brigitte Carnochan, Camille Jackson Barre, Christian Fleitz, Claire Louria, Cy DeCosse, Daesoo Kim, Daido Moriyama, Daniela Edburg, Deb Schwedhelm, Eiki Mori, Eimu ARINO, Elena Kalis, Eric Kellerman, Fabrice Mabillot, Futoshi Kokumai, Gao Yuan, Gary Roderick McLeod, Gerald Berghammer, Hamid Sardar-Afkhami, Hengki Koentjoro, Hermann F sterling, Hodaka Satou, Ina Forstinger, Jack Montgomery, Jacqueline Roberts, John Sexton, Kazuyuki Kawaguchi, Kenro IZU, Kim Weston, Kotori Kawashima, Kumi Yamamoto, Kuo Hsing LAI, Leslie Niemoeller, Marina Rosa Weigl, Marina Rosa Weigl, Marit Beer, Masakazu SUGIURA, Masao Yamamoto, Michael Chen, Miguel Angel Vargas, Mikio Yamamoto, Mineko ORISAKU, Minoru Kitchen, MyoungHo Lee, Nadya Panchina, Naruyasu Nabeshima, Oleg Videnin, Paul Caponigro, Piyatat Hemmatat, Roman Loranc, Satoru KONDO , Severine Lenhard, Sungseok Ahn , Tatiana Maksimovich, Tom Chambers, Victor Cobo, Waswo X. Waswo, William Ropp, Winky Lewis, Youichi Schidomoto etc. 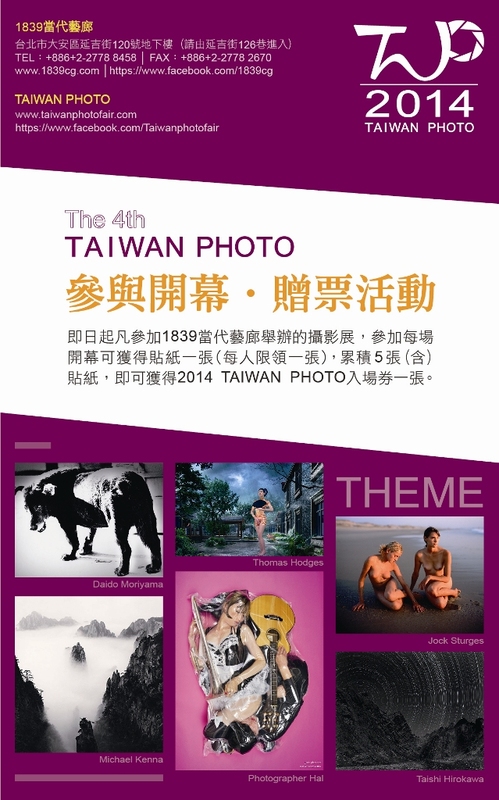 The 4th Edition TAIWAN PHOTO in 2014 presented a broad spectrum of contemporary photography from 1839 to 21st Century and was entitled, “Platinum & Palladium Printing” to celebrate the 175th anniversary of the invention of photography. Photo Expo has exclusively invited notable Eastern and Western international photographers Cy DeCosse and Kenro IZU to the exhibition as well exhibited a vast variety of limited edition Platinum & Palladium Prints that are a rare opportunity to see other than at this expo. 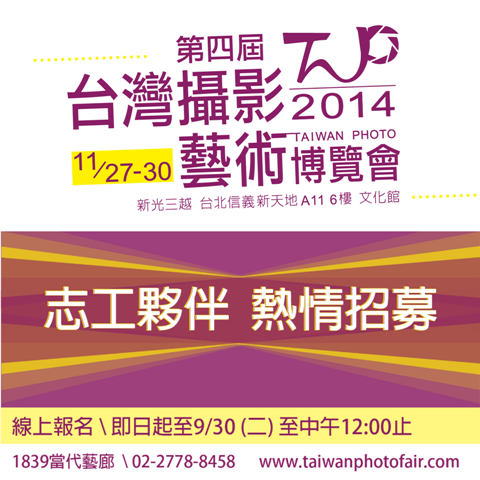 The 2014 TAIWAN PHOTO Photography Show is going to be held from Thursday 27th of November to Sunday 30th of November at the Shinkong Mitsukoshi Taipei Xinyi Plaza A11, 6th floor, A11 Cultural Center. 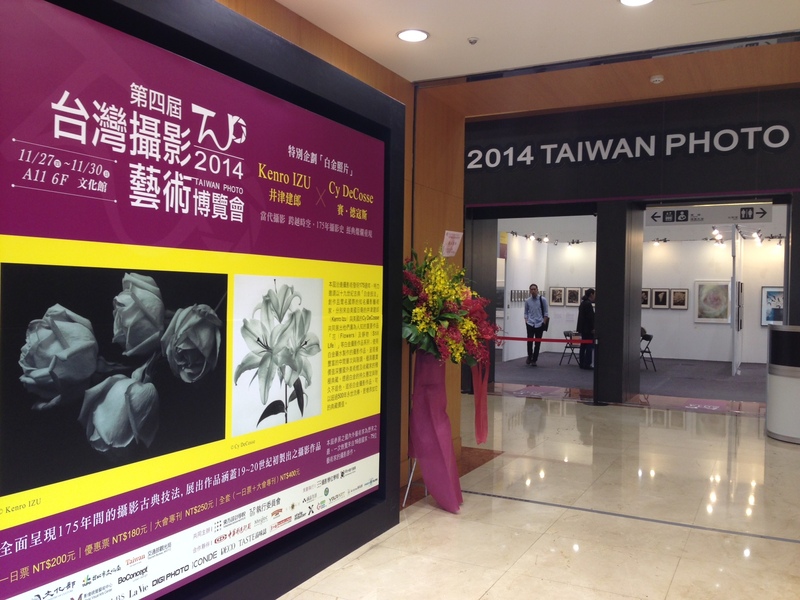 This exposition is Taiwan’s only “pure photography” art fair. 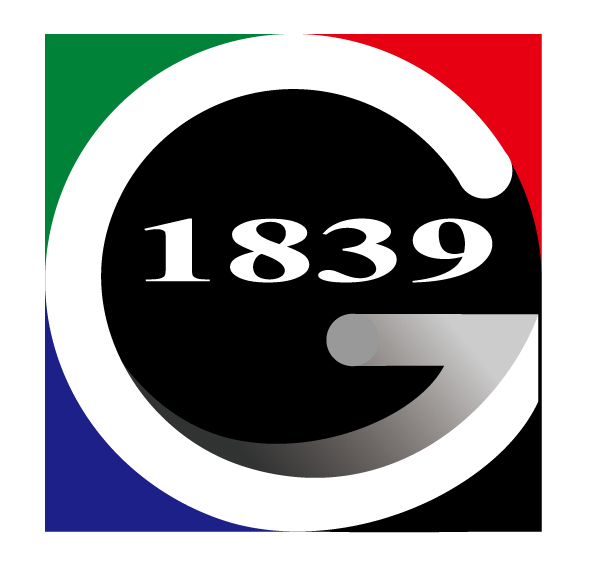 From the gallery of 1839 Contemporary Gallery which host this grand event. This exhibition will exclusively present a wide range of museum-quality work; including contemporary, modern and nineteenth-century photographs, as well as photo-based art. With a respectively productive first to three edition of Taiwan Photo in 2011, 2012 and 2013; Taiwan Photo 2014 aims to keep expanding and building the communication platform of photography with the world by inviting well known international galleries to exhibit in Taiwan whilst helping to widen the public’s perspective in Taiwan’s photography field. LOVE PHOTO AND WANT TO LEAR MORE? 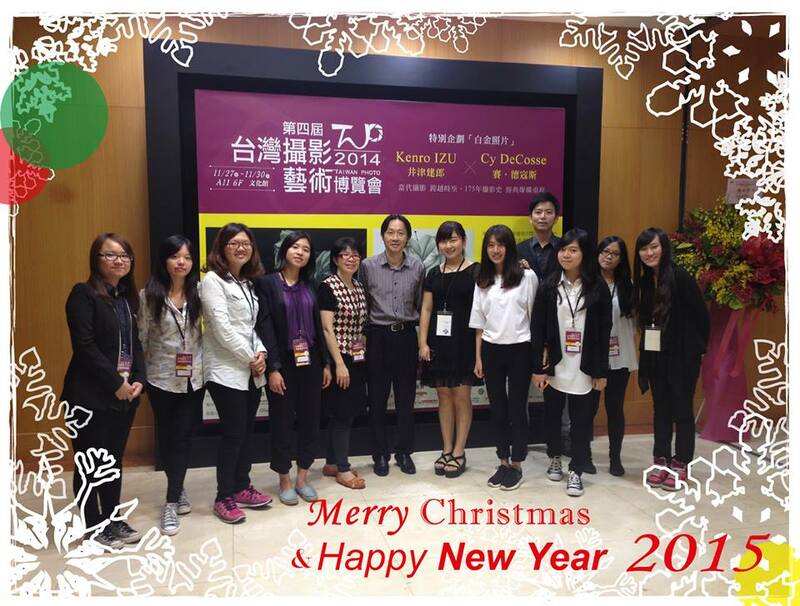 TAIWAN PHOTO accepts applications from any person interested in volunteering their services to the organization. Persons interested in volunteering their services with TAIWAN PHOTO can apply to volunteer using the on-line application form. TAIWAN PHOTO has 4 assignments where volunteers can work. How do I know if I am selected? How does TAIWAN PHOTO select volunteers for assignments? ​We regret to inform that only chosen applicants will be notified. We select our volunteers based on first-come-first-serve basis and whether they are a good fit or the job. WHAT’S THE BENEFIT GIVING TO VOLUNTEERS? We invite our applicants to attend our Volunteer Welcome Seminars to learn more about the available opportunities to discuss your interests. 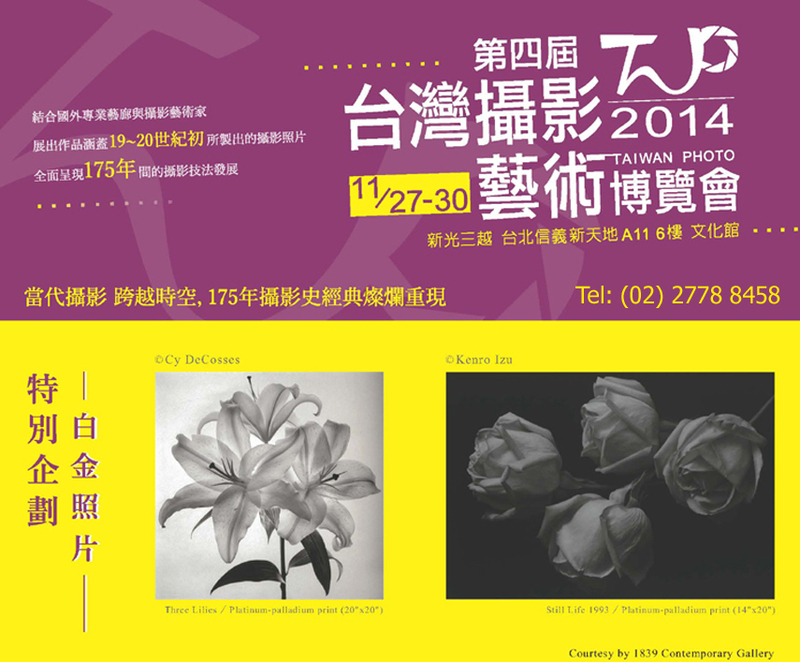 Special offer free admission tickets of 2014 TAIWAN PHOTO for guests who come to the opening reception more than five various exhibitions hold by 1839 Contemporary Gallery. After the 1980s, the mingling between modern photography and contemporary art brought photography onto the international art stage. The high level of recognition for photography caused galleries and collectors to compete in terms of their photo collections. Responding to this trend, the Paris Photo was established in 1996 and to this day it remains a major annual event in the photography world by attracting visitors from around the world, ranging from museum researchers, curators, collectors, photographers, to art experts. Ten years later this trend moved into Asia. 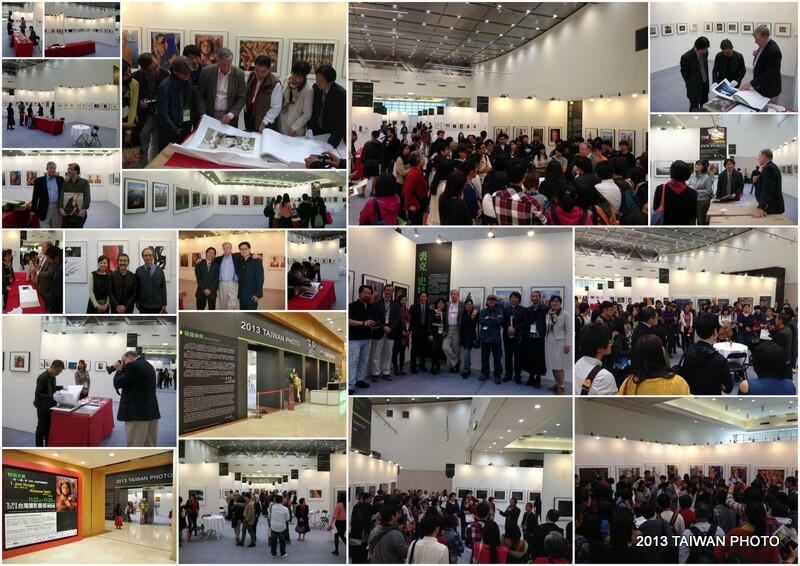 Starting in 2008, Photo Beijing, the 2009 Singapore International Photography Festival and Tokyo Photo have been held. Facing this international trend, Taiwan Photo was successfully launched with force in 2011 as well. 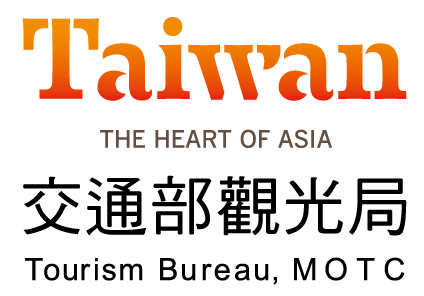 With a productive first, second and third edition of Taiwan Photo in 2011, 2012 and 2013 respectively, this year 2014 our arm keep continuing to make a communication platform with the world by inviting well-known international galleries to Taiwan, expanding local knowledge on aesthetics. Meanwhile, Taiwan’s photo exhibition kept on enhancing international visibility of photographic art in Taiwan and enriching people’s international views, promoting cultural and diplomatic exchange between Taiwan and the rest of the world. Taiwan currently has many different types of art fairs, but the most significant feature of the TAIWAN PHOTO is that it is purely photography-based. TAIWAN PHOTO presents to both gallery exhibitors and individual photographers in such a way that on one hand it gives exhibitors the professional performing space and the individual photographers a special feature to promote commercially and educationally. So, collectors and viewers can have enough gradual understanding of contemporary photography art and the current status of the international art market. The location of TAIWAN PHOTO is hold at the modern department store – the Shin Kong Mitsukoshi’s Taipei Xinyi Place where is fashion and artistry department store plazas in the upscale commercial area near Taipei 101.